In 1736, scarlet fever was present in Boston and neighboring towns.. But while the scarlet fever epidemic was spreading out from Boston, the diphtheria epidemic was descending from the north, and in Essex county they traveled along the Old Bay Road at the very same time, but in opposite directions. 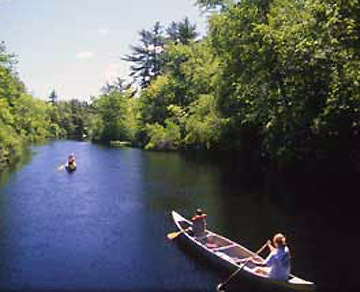 The epidemic in Ipswich was more similar to the epidemic in New Hampshire and other northern towns. An epidemic of “throat distemper” raged in New England between 1735 and 1740. The contagion struck first in New Hampshire, killing almost 1% of the population. The epidemic spread south through the Massachusetts Bay Colonies, and eventually into Connecticut. By the time it had run its course, 5000 people had died, and more than 75 percent of the deaths where children. 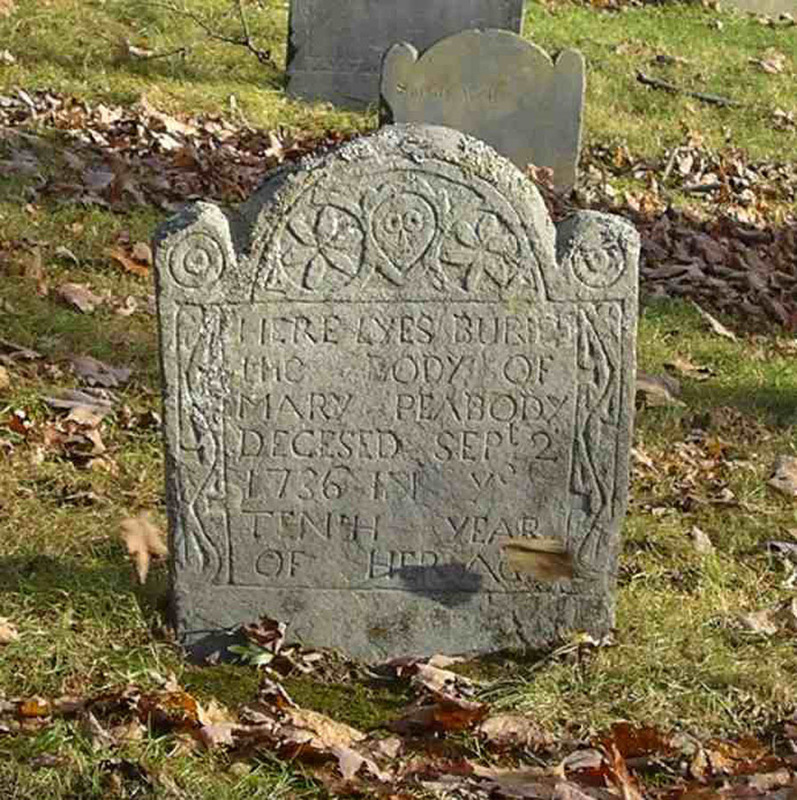 In Hampton Falls as of July 16, 1736 there had been 210 deaths, 160 under the age of ten. The epidemic affected Kensington a decade later, where 250 child victims of “throat distemper” between 1744 and 1779. “Late in the summer of 1735, the disease invaded the northern part of Massachusetts…carried into Massachusetts by countless travelers going to many different towns. Most of the old towns between Casco Bay and Boston were connected by a road (the Old Bay Road) which ran roughly parallel to the coast and far enough inland to avoid the many small inlets, marsh lands, and sandy dunes. A few weeks after the Kingston outbreak the disease invaded Kittery and Hampton Falls, two important trading centers along this road. From Kittery the infection was carried northward into Maine and from Hampton Falls southward across disputed territory into the Province of Massachusetts Bay. Amesbury and Salisbury were soon involved, and by September the epidemic had crossed the Merrimac River and like an invading army concentrated its forces at Newbury before it started down the old Bay Path towards Boston. The Ipswich Vital Records and Felt’s History of Ipswich, Essex, and Hamilton show two or more deaths in the Abbe, Appleton, Baker, Bennet, Boardman, Brown, Burnam, Choate, Fuller, Gibson, Hart, Heard, Jackson, Jewet, Kimball, Knowlton, Lull, Neland, Pierce, Pottar, Safford, Shatchwell, Sherwin, Smith, Treadwell, Trucker, and Webber families. 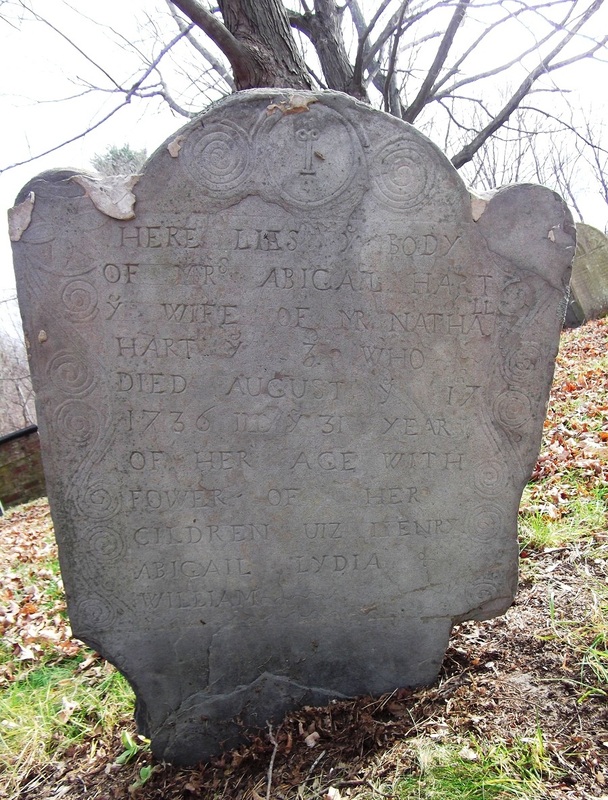 Michael Farley lost five children in April, 1736, four of them in one week. December 7, 1736: Mark How, and John Abbott his neighbor, had each lately lost eight children by this sickness. 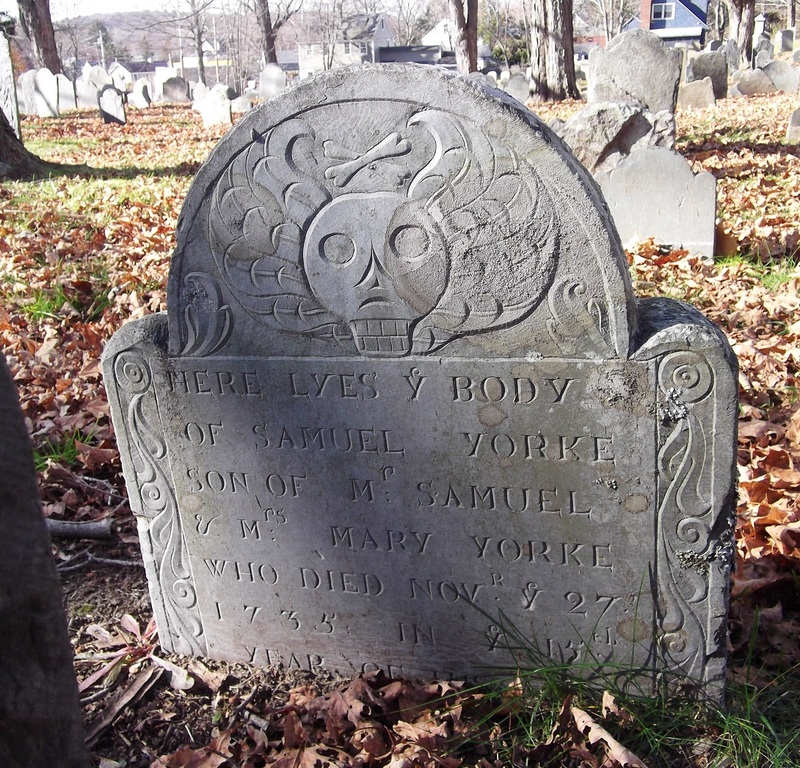 January 23, 1735: Nathaniel Cross, of the Hamlet, had lost seven and all his children within about a month with the throat distemper. 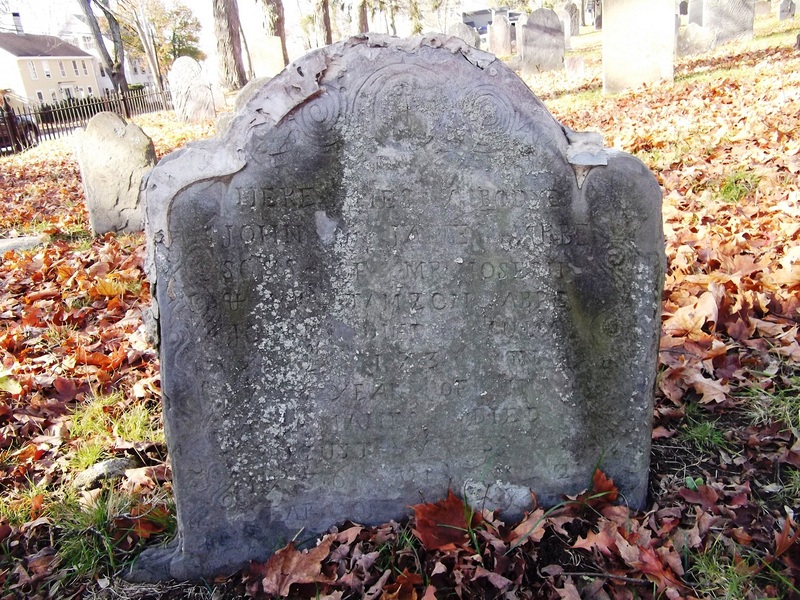 March 21, 1738: John Treadwell has three children buried in one grave, and one more before, within five days, with the same disease. Thomas Franklin Waters wrote that Ipswich Village, just below Rowley on the Old Bay Road suffered greatly. “In the year of 1736, sorrow settled heavily upon the household of Nehemiah Jewett. No doubt the deadly throat distemper was the cause. Dr. John Manning of Ipswich is credited with making vaccinations available to the general public. After successfully immunizing his family against smallpox in 1799, he distributed the vaccine without payment to other practitioners, purposefully breaking the monopoly held by Professor Benjamin Waterhouse of Harvard. Since the introduction of effective diphtheria immunization in the 1920’s, the disease is now all but eliminated in the United States and other countries that vaccinate widely. There is no vaccine for scarlet fever, but the since the discovery of antibiotics, the disease is now treatable. A History of the Terrible Epidemic, Vulgarly called the Throat Distemper, as it Occurred in his Majesty’s New England Colonies between 1735 and 1740” and “The Throat Distemper of 1735-1740 Part II. Nathaniel Cross was an ancestor of mine. I can’t imagine the pain of losing “all” your children. thank you for these historical insights. Just unimaginable how losing so many of one’s children with such virulent and cruel suffering while they were so ill was managed by the poor and bereft survivors. This type of commentary, though very sad, also helps us learn more about the day to day lives of our ancestors in Ipswich and neighboring towns in early 18th Century New England. And the miracle that we descendants are here at all to tell their story. Thank you.